I never felt that I liked black so much.Everything I purchased for myself has been black and since I am a gadget freak,all the things were gadgets and their accessories- black laptop,black phone,black laptop cooling pad,black gaming pad,black external hard disk,black mobile headset,black television etc.It was during this WhatTheBlack activity that I realised unknowingly I have always been attracted towards black colour. 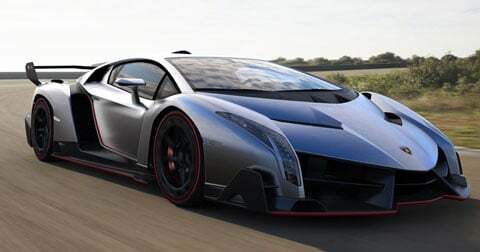 1) Black Lamborghini Veneno : I always drove a Lamborghini in Need for Speed game.It was the best car in the game in the sense that it had best controls.So in reality too,I wish for a black Lamborghini Veneno though it costs $4.5 million or around ₹ 27 crores.The fact that makes this car worth wishing is that only three of these cars are being made available every year.Even the batmobile looks tame in comparison to the Veneno and it probably costs less too.And I don’t think Batman will give his ride to me so Lamborghini Veneno is enough for me. 2) Black Dell Alienware 17 Laptop : I love gaming on my laptop.But sometimes it can’t handle high graphics games.That’s why I wish for a black Dell Alienware 17 Laptop which has 4th Gen Ci7 processor, 16GB RAM,750GB HDD,Win8 OS and 3GB Graphics card..It costs around ₹ 1.90 lacs.Dell Alienware are crafted using the best materials available and are also built to last so they will be good for me. 3) Black iPad Air : I have never owned an Apple product.Apple is usually known for their white-coloured products but I wish for a black iPad Air.It costs around ₹ 65000.It will make my movie watching experience awesome with its retina display.It will also make reading blissful with its 9.7 inch screen. 4) Black HTC One M8 : Currently it is the best android phone one can get in the market.So I wish for a black HTC One M8 for me although it costs around ₹ 45000.With a 2.5 GHz Qualcomm Snapdragon 801 quad core processor,gaming will be smooth in this phone. 5) Black Emporio Armani Watch : Even after coming of smartphones,I like watches.It does not unable me to check Facebook unlike my smartphone on which I always go on to check my Facebook feed instead of checking time.So I wish for a black Emporio Armani Watch.It costs ₹ 32980.